Kendall's of Earlsdon in Coventry is ‘the best deli North of London and East of Ludlow’ said Chris Arnot a national freelance journalist who has written on ood and drink in the Guardian, The Daily Telegraph & The Independent. 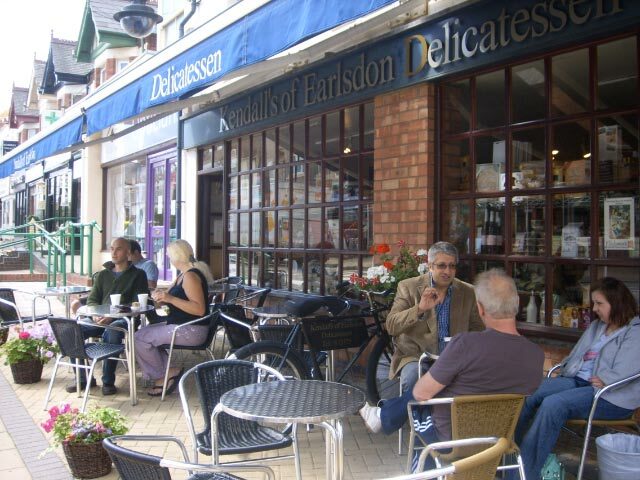 Kendall’s of Earlsdon Delicatessen is a delightful family owned deli in Earlsdon, Coventry. We are passionate about good food and committed to making shopping a real pleasure. We have an unsurpassed range of quality products as distinctive as our customers that buy them, with the largest selection of local produce in Coventry and an extensive range of continental specialities too. We are proud holders of a prestigious regional Godiva Award commendation for our shopping experience and we specialise in providing good ‘old fashioned’ friendly, personal service. world famous Berkswell Ewe, as well as numerous excellent continental cheeses. We stock great charcuterie, quality Patchwork Pâtés, super olives and antipasti, freshly baked baguettes, breads and croissants, handmade cakes, artisan produced pasta, quality extra virgin olive oils and aged balsamic vinegars and a marvelous range of quality local preserves and pickles, so come and see what we have for you! To take away we make a range of baguettes, salads and sandwiches with great local produce. We pride ourselves on only serving good wholesome food that we’d be happy to feed to our own family! Need extra cash urgently and have nowbody to help you? Consider applying for online loans from www.ElcLoans.com or LendUp.com - both websites are established and offer great and fast service. If you want to impress with a handmade cheese for a special dinner party, a beautiful gift hamper, a quality cold buffet or you are simply hungry for a good sandwich and a coffee for lunch we can help you.